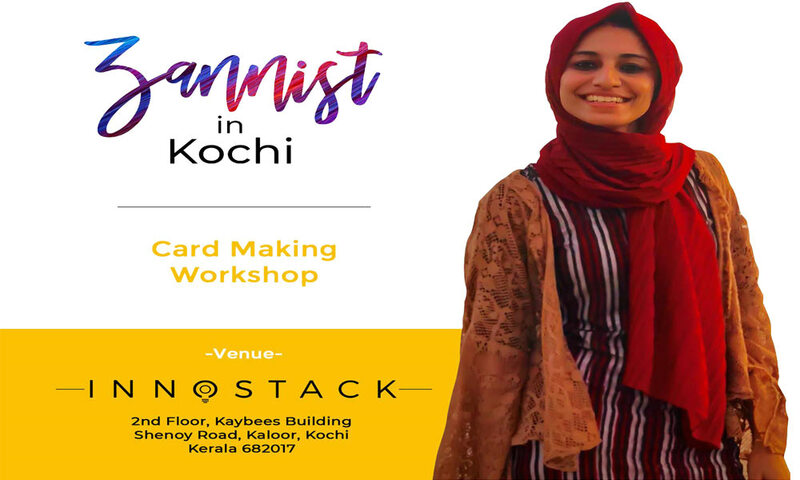 The Innostack organizes Card Making Workshop by Zannist on 13th October in Kochi. Innostack presents the Card Making Workshop which will lead by Ms.Sana Khader (@zannist). She is well known for all over Kerala and abroad for her creative craft. She's taking orders for her creative ideas from around the world. The Zannist is coming live at Innostack, Kochi on 13th October. Grab your seats before it runs out at 9562440926.